Many people unsatisfied with the appearance of their nose look into undergoing rhinoplasty, also known as nose surgery. Rhinoplasty is a surgical procedure used to improve the size and shape of the nose, and it can also correct breathing problems associated with the nasal passage (a procedure technically called septoplasty). In many cases, septal cartilage from between the nostrils is used for accomplishing the goals of rhinoplasty. For patients who require a more dramatic change, Dr. Lee may use a certain amount of rib cartilage to perform a rib rhinoplasty. Rib rhinoplasty can be performed to increase the size of the nose, smooth out depressions on the bridge, and make other improvements in the shape of the nose by contouring the nasal framework. Anesthesia is administered throughout the entire procedure, so patients do not have to worry about feeling any pain or discomfort during their surgery. A small incision (usually about 1 inch long) is made beneath the patient’s breast fold to harvest a small piece of the rib cartilage. The rib cartilage can then be shaped and either used as one piece or diced into smaller pieces to reshape the nose. Because it is the patient’s own tissue being used, there is no rejection risk during rib rhinoplasty, and the rib cartilage will shape nicely onto the patient’s face. 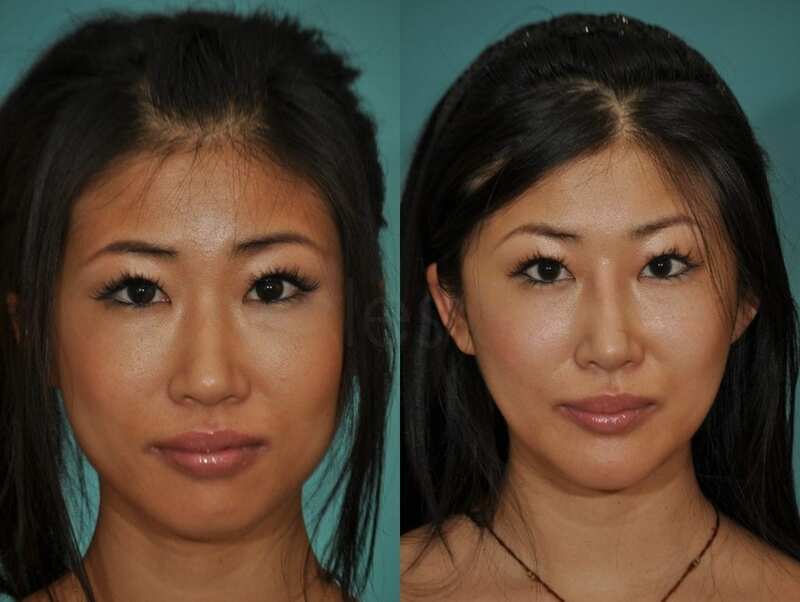 This procedure can be done for first-time rhinoplasty and revision rhinoplasty. Insurance covers some of the cost of rib rhinoplasty if there is a deformity, injury, or something that impairs breathing. Stitches are typically removed six or seven days after surgery. Surgical procedures that require incisions will leave some extent of scarring. However, incisions are placed inside the nose or on the columella between the nostrils to ensure scarring is as inconspicuous as possible. If a rib graft is required, the incision used to access this donor tissue is hidden in the breast crease. Most patients will need one week of rest to recover from rhinoplasty, after which it will depend on whether they feel good enough to return to work. However, strenuous exercise and physical activities should be avoided until after your surgeon determines your nose has properly healed during a follow-up appointment. 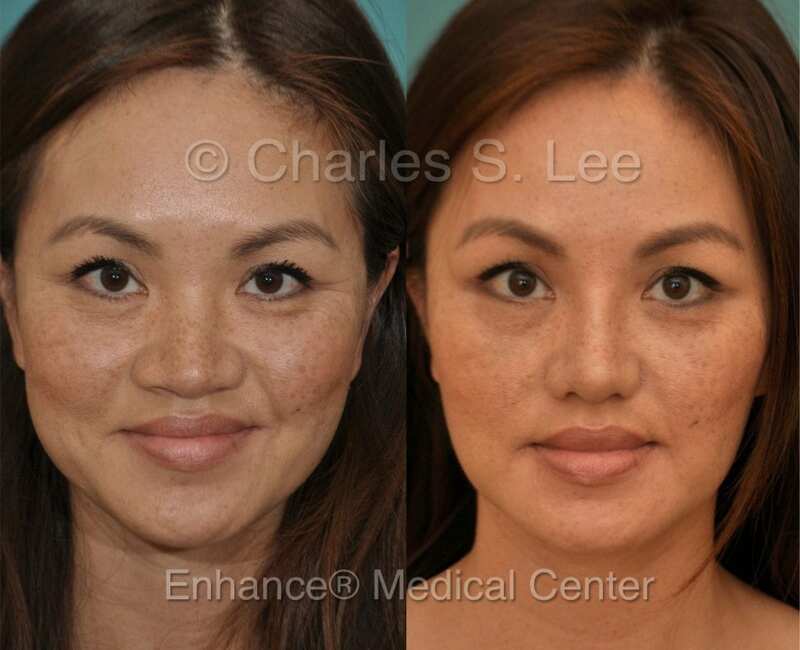 Dr. Charles Lee is a double board-certified Asian cosmetic surgery specialist. 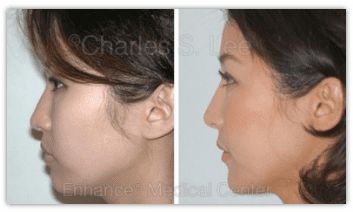 To learn more about rhinoplasty, including Asian rhinoplasty, call us today at (310) 231-6811 to request your appointment.